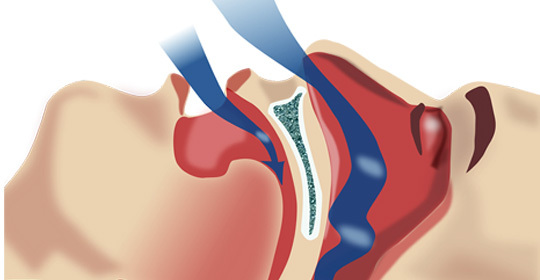 Technological advances created a treatment option that reduces the intensity of snoring and helps open the airway allowing patients to breathe easier during sleep. NightLase™ was designed by Fotona, a developer of high-technology laser systems since 1964. Fotona’s lasers are used today in medicine (dermatology, gynecology and surgery), dentistry, industry and defense. NightLase has been available in the United States since 2013. A non-surgical, non-invasive procedure, a laser is used to warm the collagen fibers thus tightening and rejuvenating the tissues of the soft palate at the back of the throat. Treatment consists of three 20 minutes sessions 21 days apart. Patients describe feeling a slight dry sensation for a day or so. There is no down time – normal activities can be resumed immediately. The results last up to 3 years with an 80-85% success rate. If results diminish, touch-ups can be done. Dr. Briggs achieved his NightLase certification in 2015. He is one of a select group of dentists in Arizona with this specialized training.